First, I need to shed some light on why your business needs to have a SharePoint consultant or need to acquired services of a SharePoint consultancy company. Then, I will explain what characteristic you should be looking for when hiring a SharePoint expert or approaching a SharePoint consultancy company. Imagine you are a small group and you have acquired Office 365 and SharePoint Online subscription recently. Someone from IT configured OneDrive for business on employee’s commuters. Great start! Now a person from management says, we need a central place where all company documents can reside. Again, someone from IT creates a brand-new SharePoint site and start dumping all the records from the company network drive or DropBox.This is when reality starts, as you expect SharePoint to behave in a specific way, but it does not work as expected. At this point, you have three choices. You can keep trying yourself and see where it goes, or you can hire an independent SharePoint Expert, or you can approach a SharePoint Consultancy local to you. Why do you need to Hire SharePoint Consultant? Let me explain first why you need to hire SharePoint Expert or SharePoint consultancy for your business. People think that SharePoint document library and folder structure same as network file storage or Dropbox. Companies set up network drives, so everyone in the organisation has access to the documents. DropBox had a simple purpose, file sharing and syncing to multiple client devices and it does do the job well. SharePoint, on the other hand, was not designed to be a storage solution. SharePoint can be leveraged and could become a document management system. It is more about making document easily manageable, searchable, auditable and enhances collaboration at the enterprise level. SharePoint was not originally designed to support small companies. It was more of a toolset for enterprises who can adapt and transform the behaviour according to the business needs. Back in 2003 till 2010, there was only SharePoint On-premises version available and to set it up you needed skilled people. Just in 2011 when Microsoft introduced Office 365 and SharePoint interest among small business has grown dramatically since then. It explains a bit the nature of this product, as it was not all about plug and plays or out of the box solution. It is instead a framework for collaboration and organisation effectiveness. It has the foundation, but one needs to invest time and money to tailor it according to their business needs. You cannot just dump documents and folder into SharePoint, unlike DropBox. As a company, you need to think about and brainstorm the information architecture, site design, security model, governance and much more before you drop the first document to SharePoint site. SharePoint does require a long-term strategy which the whole organisation can take forward. If someone thinks that he/she can only dump the documents and folders from network driver into SharePoint site, send the URL to everyone in the company and job done. They have achieved nothing. You are better off with Dropbox in this case and should not use SharePoint at all. Comparing DropBox with SharePoint is like comparing Car to an Airplane. Most people can drive a car, but not many people know how to fly an aeroplane. SharePoint consist of complicated pieces like site structure, Web parts, Workflows, Security, Governance etc. An expert in the field can write a book on each of these topics. It is your call to decide whether to hire a SharePoint consultant or train your employee and do it yourself. Making SharePoint implementation successful depends on many factors and what I described above is just the tip of the iceberg. What Makes a Good SharePoint Consultant? Microsoft SharePoint widely considered among the best content management solution. Finding the right person to help you with your business needs can be difficult. It is crucial to hire a good SharePoint consultant to see the real benefits of the products and get the most out of it. You don’t want a SharePoint consultant with little experience in your industry. If they cannot prove their track record of some satisfied customers form the same sector, then you might need to look elsewhere. One question you should always ask, what brands the SharePoint Consultant has worked with, what were the business challenges those companies were facing and how you addressed them. Ask for case studies with detail explanation of business challenges, the solution and approach and measurable benefits from those solutions. They are having experience working in your industry or a similar industry. Most of the time SharePoint consultants sue out of the box capabilities to meet the business need. But sometimes they need to customise SharePoint so that it can solve some specific business problems. And satisfied with unique requirements. On the flip side, make sure that SharePoint consultant is not trying to push some customisation which you can get with out of the box available capabilities. SharePoint is a great document management system. If you have decided to use SharePoint in your organisation, you most likely looking to manage all the information about your company. It is crucial to building the right information architecture, e.g. site structure, navigation structure, document metadata etc. If the SharePoint consultant does not have an idea about how to create useful information architecture or how to make a data hierarchy, you might not have the right fit. You want someone who walks into your business with an open mind and comfortable in making suggestions. They must put the project requirements forefront, but it should not stop them from providing input. A good SharePoint consultant always looks for a room for improvement and suggest other SharePoint capabilities which can enhance end-user experience. Who will perform the work? Will it be subcontracted to another SharePoint consultants or SharePoint consultancy firm? What are the primary skills and expertise of SharePoint consultants? Do the SharePoint consultants have soft silks, e.g. SharePoint User Adoption and SharePoint Governance? What is the project implementation methodology the SharePoint consultants will be using? Hiring a SharePoint consultant can be an investment that provides a positive return on investment almost immediately. Hiring a SharePoint expert can be one of the best investments your company can make. Just sure you find the right persons and use them effectively to get better results. SharePoint is used in many businesses across the globe for document management, as a collaboration platform (Intranet), automate business process and much more. More than 80% of the FTSE companies used the SharePoint platform to enhance their information architecture. If you are a big company, then the chances are you will prefer to hire services on a SharePoint consultancy company rather than hiring an independent consultant for many reasons. Hiring a SharePoint consultancy company mean hiring a partner and work together to produce the best results. Here are a few things you should defiantly consider when looking for a SharePoint partner company. What Kinds of Services/Solutions do they Offer? Some SharePoint consultancies do offer readymade solutions based on existing capabilities.SharePoint Intranet, SharePoint Apps. These solutions are excellent and can deliver within budget and timeline. But, readymade solutions are not perfect for everyone. If you have a specific business need which Out of the box features are not enough to address them, you should hire a company and customise the solution. It means working with the experts to design and build a system that tailored to the precise requirements of your business. How they do Requirement Gathering Process? Your chosen consultancy company need to sit with stakeholders and to analyse your business need. Even if you go for a readymade solution, it cannot entirely address all the requirements. You should explore how they will collect information and how they can guide you throughout the implementation, as well as talking through the project management methodologies they will use. Will they Focus on User Experience? Many SharePoint projects failed in the past just because there was no work done in term of making the end user experience better. User experience should always be at the front. SharePoint offers a highly customizable user experience. If the user engagement is low, changes are the user experience designs are not suits the need of the people who actively use the system. Can they Deliver to your Expectations? I think this is the question you should ask yourself at the start and repeat it at the very end of the hiring process. Do I believe that this company can deliver what is needed, and they can carry on time and within budget? You should ask for details of previous projects delivered and get a feel for the type of SharePoint expertise available. SharePoint is a platform which opens a vast range of possibilities for businesses of any size or any industry. Getting the right people on the board is the key to SharePoint project success. You should not rush for it, take your time thing through the requirements upfront and evaluate individuals/consultancy companies to see if they have a solid track record and can deliver what they are promising. Here you are looking for a technology partner rather than one-off service. Microsoft technology and educational programs support students use the technology of today to plan for the future of tomorrow. 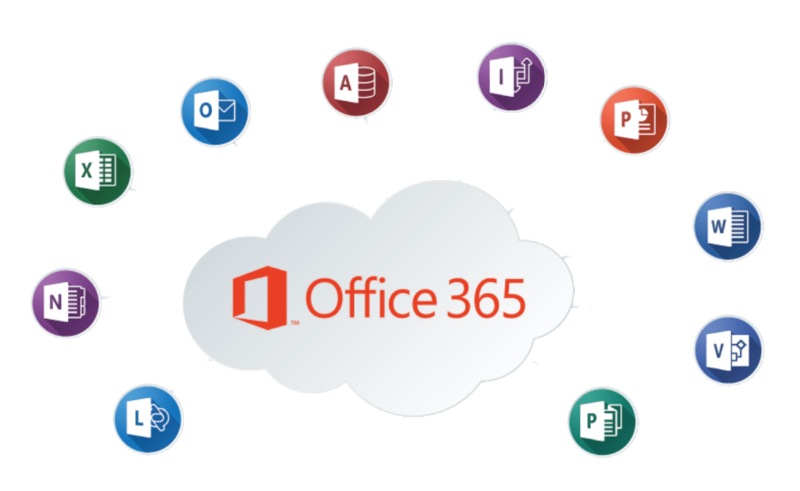 Office 365 widens the ability for learning that includes Office 365 offering Word, Excel, PowerPoint, OneNote, Microsoft Teams, and classroom tools. Let’s discover some of the many ways that Office 365 can support students and teachers inside and outside of the classroom. Microsoft Office 365 is a cloud hosted application accessed as a service known as Software as a Service application (SaaS). The cloud is a vast concept that covers several benefits and concerns when compared to standard deployment models. Any application can be hosted in Cloud and its installed and supported by Microsoft’s data centre elsewhere. Customers can access the Office 365 application through an Internet connection. Microsoft, therefore, is rendering the application as a service instead of a product. Office 365 provides a fantastic integrated suite of products. Let’s explore all the resources used by Microsoft office 365 to gain valuable insights on how to implement the Education Transformation Framework in your school or district. Office 365 is a cloud-hosted service provided by Microsoft. It allows students the ability to create, edit, manage and even collaborate on the popular Microsoft Office products through a browser-based interface, rather than relying on locally installed software. Office 365 includes many other services that we will be investigating over time. Office 365 gives close integration with Office Online. Students don’t need to install Office on a PC. Office 365 brings Word, Excel, OneNote, PowerPoint and Sway to all devices. Office 365 licencing also means that students and teachers can download the full version of office client application too. Office 365 offers easy and anytime access to all its resources to students. If you have access to the Internet connection; you can connect to Office 365, and your files. Students can write papers in the classroom, and at home on any device they so choose. Students can make changes and updates to documents from anywhere, at any time like if they want to add thoughts to an essay draft or they can make changes to a PowerPoint slide, as soon as a new idea comes to their mind. Office 365 Create, share and even collaborate real-time with Word, Excel, PowerPoint and OneNote—without worrying about lost formatting. With Office 365’s collaborative tools, projects will have more structure, allowing small groups to work on their projects at several times throughout the day. Instructors can also participate by adding comments and notes to assignments for added feedback. It helps students to set their directions and characterised by an open culture of learning and exchange across the system, with a cooperative buy-in of vision and shared goals that motivate students to drive change. Profound and sustainable transformation of the education system happens only with the support of people at every level – schools, local authorities, universities, teacher training colleges and national governments. The Microsoft Education Transformation Framework gathers the latest thinking from all of these to help you plan. Microsoft Office 365 helps out teacher and students by using Modern teaching and learning strategies and different ways to explore the Curriculum. It encourages a growth mindset in students, emphasising future-ready skills to help them succeed in jobs not yet invented. It’s not afraid to use new technologies and new forms of assessment to Measure student progress. Proficient educators are the motivating force in modern teaching and learning. By personalising learning pathways, teachers empower every student to reach their goals. To help them build skills, the Microsoft Office 365 Education Revolution Framework supports them with groups of practice, software and proficient development. Microsoft office 365 gives a smart learning environment endows creative collaboration by students, educators and leaders in flexible learning spaces. It enables more sustainable and energy-efficient ways of working and more responsive and corresponding security to keep learning communities safe. It also helps administrators manage facilities more efficiently to maximise learning while cutting cost. Microsoft Office 365 provides a consistent, reactive and data-driven technology environment. It enables students, teachers and administrators to reach more every day with perceptive devices. Moreover, it gives everyone easy access to the data they need to estimate and Expand educational and administrative performance. Students can have access to Office 365 for free. It’s not a trial Version! Both students and teachers are eligible for Office 365 Education, which includes Word, Excel, OneNote, PowerPoint, and now Microsoft Teams, plus additional classroom tools. Both teachers and students are eligible to get Microsoft 365 online version for free, with this you also get 1TB of online storage. KeaPoint is a SharePoint & Office 365 consultancy based in the UK, dedicated to empowering users through smart solutions. Our experience and skill set continues to expand in many areas. We develop solutions according to the best business practices in the industry. If your organisation needs assistance with SharePoint & Office 365 and would like to see how KeaPoint can help, get in touch. Office 365, the right solution for your business? If you are a small business and you are wondering if Office 365 the solution for your businesses? The short answer is yes. Office 365 could help your employees work together in new and more efficient ways. Office 365 not only provide you set of tool. It instead introduces the new way of working. Below are some reasons small business owners should consider using Office 365. Are you look to implement Office 365 in your organisation and don’t know where to start? Our experienced consultants can help you with the initial setup and can assist you going forward. If a fire or flood ruin your system crashes or the office building, you are stuck. You have no servers, website or even no data. Statistics collected in 2015 by the Institute for Business (U.S) and Home Safety showed that 25% of small businesses never reopen following a major disaster. If all employees send the data to the cloud, all your business documents and applications, such as email, will always available. You will face no downtime, no matter what happens. Office 365 has built-in security features so small businesses can focus on the other essential things. You always know where your data reside and who has access to it. Storing your data online also keeps it safe from any disaster. Office 365 has many built in security features to keep your company’s data safe. Some of them are listed below. Message Encryption: This feature allows employees to send encrypted email, preventing anyone other than the recipient from reading the contents of your email. The encryption works no matter which email service the recipient uses. Advanced Threat Analytics: This uses analytics and machine learning to detect and alert you about any suspicious activity straight away. As part of this tool, the emails are scanned for malicious links and attachments as soon as they hit your network. If it detects something doubtful, it’ll stop the malicious attachment from getting downloaded. The recipient will still get the email explaining why the attachment isn’t available for download. Data Loss Prevention: The Data Loss Prevention feature monitors emails and stops sensitive data from leaving your organisation. Once enabled, all emails to and from an organisation will be scanned for information such as passport credit card or NI number. Mobile Device Management: This feature helps you secure employees mobile devices to protect sensitive company info. You can create the security policies which can remotely wipe a device, and view detailed device reports. Office 365 makes it simple for multiple team members to co-author the same document. The real-time document editing and formatting ability enhances the collaboration process for small businesses. The days of emailing huge files and also worrying about file version control are now a problem of the past. The Office 365 also makes it easier to share any documents with clients at all stages of the production process. The members can also take advantage of the Skype for Business tool to chat with each other throughout all stages of project planning and implementation. The day to day activities like Meetings, email and contact management is a big part small business. When you use Office 365 features like email, calendar and contacts. You can sync files to OneDrive on your Pc and can work offline. That is a cool feature to help small businesses get the most out of Office 365. You can also access the same data from anywhere and from any device. Working away from the office is handy for small business employees. In most cases, you needed help from an IT friend to set up a Virtual Private Network so that you could access your office data and files. With Office 365, you don’t need any unique configuration or IT skills. You only need an internet connection and login to your office 365 environment, and you can start working. Isn’t it simple? This one is perfect for small businesses. Office 365 has a flexible monthly billing process that lets the organisation increase or decreases the number of users to suit their needs. You never locked into any contract, and you can change plans at any time to satisfy your business growth. Since you don’t need to worry about upfront costs, it will be easier to fit this subscription into your monthly budget. Keeping an eye on software licenses and renewal can be a real headache for a small business owner. Also making sure that all the employees are using the same version of the software can be challenging. The Office 365 includes all licensing, and it can be consistent company-wide. That means everyone has the same version of Microsoft Office and other tools. Office 365 will make sure that all users get software upgrades at the same time. Let’s face it. The employee never want to get rid of old email, at least for some years. Sometimes we encourage them to clean it up, but most of the time they end up keeping every single email they have ever sent or received. With Office 365, you can say hello to 50GB of email storage space and goodbye to conventional way of email inbox clearing requests from IT. Why Businesses Prefer SharePoint Hybrid Environment? 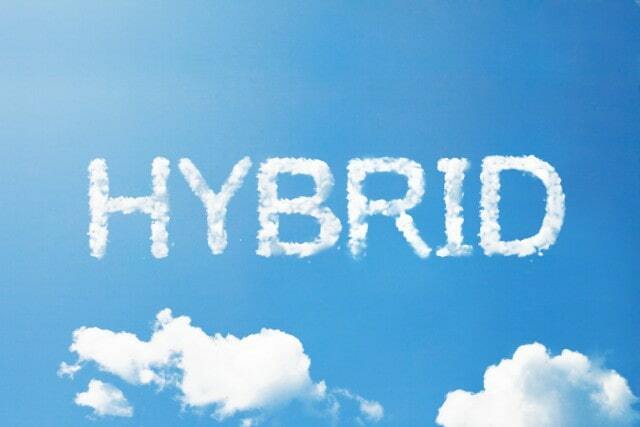 One question I hear a lot, why do we even want to go hybrid? Many companies have already migrated their exchange server and Skype for Business and Office 365 without keeping the on-premises equivalent. The reason is that the SharePoint server is not equal to SharePoint Online regarding functionality and flexibility. There are some differences in Exchange and Skype for Business that could stop a company from migrating. However, most companies nevercustomize, and most business users don’t even care what exchange is, they use Outlook. So, moving services such as Microsoft Exchange and Skype for Business to the cloud doesn’t have as much of the impact on business users as compared to moving the SharePoint. When we compare SharePoint Server 2016 with SharePoint online, there are many differences in UI, capabilities are different, and some customisations within SharePoint on-premises cannot be migrated to SharePoint Online. But, then why not stay on-premises or go entirely to the cloud? Let’s discuss the advantages of each platform. Let’s start with SharePoint Online. As you know Microsoft vision is to go mobile first Cloud first and I’m sure you heard that a ton of times in the past years, Mobile first Cloud first. As Microsoft pushes updates to SharePoint Online every two weeks. It also pushes cloud only updates, for example, Delve, Office 365 Video and Office 365 groups. These are the few examples that are only available in SharePoint online for now. Furthermore, another significant advantage of SharePoint Online is that by default it is assessable all over the globe. You can achieve that with premises as well. However, you will need to invest in the security, the infrastructure to make it secure. Talking about SharePoint on-premises, there are various good reasons to stay on-premises. Few of them are listed below. The first favourite reason is that on-premise allows you to customise the SharePoint to answer your specific business need. Being able to quickly develop and create custom branding and solutions on your SharePoint is the reason why it enjoyed great success since SharePoint Online doesn’t allow developers to deploy full trust code, also known as farm solutions. Also, it doesn’t give all the SharePoint out of the box tools such as timer jobs. So, it’s limited in terms of what you can do to customise your SharePoint. The second reason, the people want to stay on SharePoint premises is having control of data for political or legal purposes. Some companies need to keep their data in their data centre or within their geographical boundaries. The third reason is that even with the greatest and latest updates in SharePoint Online, the on-premises version still has some features that SharePoint Online doesn’t. For example, all the BI stack like Scorecards, Dashboards, Reporting Services, PerformancePoint. Also, on the other side, you are missing features such as customer entity extraction. You cannot create a public site in SharePoint Online. You cannot have an Internet site on SharePoint online. Other service applications missing are the word automation services, PowerPoint automation services. So if any of those enterprises got SharePoint and they’re relying on those service applications and those features for their business needs they’re never going to move to SharePoint Online and will stay on-premises to answers the business needs. There are many limits you cannot get around in SharePoint Online. The 5000 list item threshold for SharePoint on-premises is a recommended limit, but SharePoint admins can change it anytime they want. However, it’s a hard limit on SharePoint Online, and the admins cannot change it. There is no public crawl schedule in SharePoint Online. So, if you have a search-based Internet or a search-based site, it can either take minutes or up to six hours before your content gets crawled. If you rely on user profile audiences to show your data, they usually compile every night and SharePoint on-premises, and you can even do it manually or can change the schedules to fit the business needs. However, with SharePoint Online it’s only done once per week (Saturday run only). So, if you add a user to an audience on Monday, they will need to wait one full week to see the expected results. Last but not least, another difference between SharePoint on-premises and SharePoint Online is that on SharePoint Online you do not have control over the release cycle and the objects. Let me give you a realistic example that happened recently. The new document library experience, first released customers got a new document library experience, and many custom solutions broke because users were able to activate it themselves. You need to use the best of SharePoint Server on-premises and SharePoint Online and decide where each workload goes depending on your business needs. By enabling a hybrid SharePoint deployment, you get the benefits of both SharePoint on-premises and SharePoint Online to address your business needs, and you get the best of both world. Let me discuss the advance features available in the Microsoft 365 enterprise plan, the Big Brother version of 365. There are two versions in 365 enterprise one called E3 and one called E5. Essentially what you’re getting over and above Microsoft 365 business are enhanced security features. First, let’s discuss what windows phone system provides for the business and then I will jump to explain the enhanced security features within Microsoft 365 enterprise E5 plan. You might think with previous versions you’ve got Skype for business, and you can call everybody. Well, that is true but, the problem is you can’t call landlines you can’t call premium numbers. We’ve replaced our client telephone system recently. What we did was implemented landline type numbers for every employee at the client site. Even though they were accessing it through their headsets which were all wireless attached to Skype for Business. It gives call queues and calls forwarding features to each employee. It allows users to record messages come in through to the phones. So, it’s a proper telephone system. With the E5 version what you need to do with a Windows phone system is add a call plan. Each user gets 12 hundred minutes allocated to their telephone system. That is then groups by the business. So, you get a whole pool worth of minutes for the company. It is one of the strongest parts of E5 plan. It’s fantastic for General Data Protection Regulation policies and security attached to that. So, let’s start with Windows Defender. If emails come through with attachments or certain nefarious links, they’ll send you the email first. But then it will scan the documents before it gets downloaded into the email that you’ve just received and it will also screen out any bad links or malicious links that it sees so you won’t get any of those. It enables you to do is connect to your Active Azure directory, but it also does some risk assessment for the administrators. It creates a dashboard for them. It enables them to have a look at what users are connecting to. With a single sign-on capability are they connected to certain types of applications that are not the company applications? So, it’s a better reporting mechanism for connection of users to Azure active directory. It’s excellent for the administrators. What it also gives you is the multi-factor authentication. This is great if you’re getting spam and it’s sending you to spoofed Web sites. It won’t allow that malware to get to your passwords because your multi-factor authenticating. One can create policies in their business that perhaps around things like credit card numbers or personally identifiable information and it will stop any of those from leaking out of the organisation without encrypting them. If something got out of the organisation, you could apply policies that automatically encrypt those pieces of information. What this enables you to do is to monitor the single sign-on from all of the users making sure that there’s nothing nefarious going on. Again, great for administrators. The Advanced E-Discovery feature is a critical tool for GDP. So, what it enables you to do is search all of your data but sub-search that data on separate sets of criteria and data that have different meta tags. Let’s assume that Microsoft is working on a case with you. They don’t automatically get access to your office 365 tenants. With lockbox what it enables you to do is to segregate a particular area that you’re working on maybe a specific set of users may be one particular area in SharePoint and you can allocate Microsoft to that so they can start to work on the case with you in that specific area of your tenants. It’s all about data loss prevention. You can apply company policies to certain documents to certain types of information that will stop it from leaking out of your environment. Power BI pro gives you enhanced reporting, slicing and dicing or presented through a web browser. My Analytics is like Delve, but it gives you analytics on all of the data using within your tenants. So hopefully, that gave you a good rundown of what Microsoft 365 enterprises over and above Microsoft 365 business. KeaPoint is a SharePoint & Office 365 consultancy based in the UK, dedicated to empowering users through smart solutions. Our experience and skill set continue to expand in many areas. We develop solutions according to the best business practices in the industry. If your organisation needs assistance with SharePoint & Office 365 and would like to see how KeaPoint can help, please get in touch. Thinking about organisation’s productivity and team collaboration, and not exactly sure how to achieve it? There are numbers of applications and technologies available, but Microsoft Office 365 Teams app is a unique and one-stop shop for collaboration, designed to help the business to grow. An organisation’s workplace is nothing without conversations. Microsoft Office Teams is a fast and powerful platform that allows team members to collaborate as efficient and instinctive as possible. All the text, audio, and video conversation can be done within the team conversation window. Microsoft made Teams app fully integrated with Office 365 Groups, persistent chat, meetings, classic tools such as Excel, Word, PowerPoint, and Skype for Business. It also integrates well with newer tools like Power BI, SharePoint Team Site and Delve etc. All the app tabs appears in one clean place which help to interact team members seamlessly. A user can work on projects, schedule a meeting, and make an audio or video call without leaving a team conversation in a Channel. This is probably the best point of Microsoft Team app. If the organisation already own a Microsoft Office 365 license, then the Teams application won’t cost any money. Although, it also has a paid versions (Essential and Premium) for more advanced features. Microsoft Office made Teams application so convenient to the users. It allows a user to work on documents without leaving a chat or meeting. Within Teams, any user can edit Microsoft Office documents and also pin the most important files, documents, resources and websites that are used frequently. Besides integrating smoothly within Teams application, Microsoft Teams allow integrating with third-party services and tools. A user can add Cloud storage features like Dropbox, ShareFile and Google Drive etc. It also allows the marketing team to manage and bring the content within the channel from Hootsuite. Bots are just like your friends. They help the user to complete the tasks without leaving the conversation. They appear like any other team member and are always online. For example, T-Bot can answer user question about Teams. And with Kayak Bot user can create travel plans, inquire about ticket price and track flights. By using ‘’@’’ sign within a Channel or conversation, the specifically mentioned team member receives a notification. A user can also use the filters tool to search or view activity or anything else according to their need in the conversation. At present, most of the communication takes place through mobile phonedevices. Microsoft Teams has its desktop and mobile application that allowusers to have seamless collaboration anytime with team members and shareinformation, files, schedule and attend the meetings. 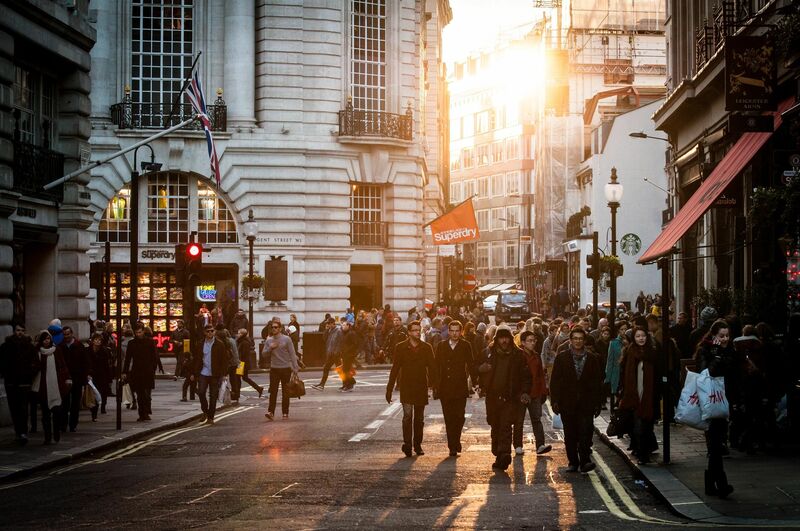 How can small businesses benefit from Office 365? As a small business owner, if you have been looking around for tools that would make it possible for you to manage your team more efficiently and have everyone in sync on all accounts, then it is time that you stop looking any further. Office 365 with its excellent features and model is the answer you have been seeking all along. It might just be the perfect tool but what exactly makes it so crucial for your team? Let us find that out. Considering all the significant factors that pose a threat to your business, you need to ensure that your business and the system at the backend stays running all day round, no matter what happens. As per a survey conducted by the U.S. Institute for Business and Home Safety in 2015, more than 25% of the small business owners are not prepared to handle a disaster like fire or flood. Office 365 saves all the data on the cloud ensuring that all your applications and documents are fully protect-ed at all instances. For added security, the online storage of 1TB of OneDrive will further secure the data and provide more space for storage. Remember the times when you had to take assistance from someone who was in IT and capable enough to set you for VPN (virtual private network) services just so that you could access the work files remotely? Well, it won’t be the case anymore. With Office 365 and an internet connection, you can now work anywhere anytime without any hassle at all. With transparency in the pricing packages and that too with the added feature of customising the plan for your personalised needs, Office 365 lets you control your monthly budget even better. Furthermore, you are not tied into any contract and would be free to modify the package based on your business requirements. Sorting through licensing and ensuring that all your employees are working on the same version of the software can be a real mess but not anymore. Office 365 takes care of it all and ensures that all the users get upgraded simultaneously, across the company, and are using the same version. Managing the operations and workforce is as important for big organisations as it is for the small business owners. Choosing the right tools that complement and are coherent with business methodologies is the first right step you can take. Office365 with its features as mentioned above will prove to be the right choice for you. So, make the needful switch today and experience the difference for yourself. SharePoint is a new, modern platform for seamless collaboration, interaction and content management. SharePoint intranet allows members to set up a secure space for the document, data and information sharing, social activities, news, and events. For maximum efficiency of communication and team productivity, SharePoint communication site is the real thing. Communication sites are out-of-the-box sites where each team member can stay aware of what’s going on, up-coming events contribute to discussion and company announcements. Communication sites are elegant, not only because of dazzling layouts, but it is genuinely responsive and mobile friendly. The communication site templates allow sharing a large amount of data and information like contents, news and events. It’s straightforward and super fast to create communication sites. Follow the following steps to build a cool-looking site. 1. Sign in to your Office 365 portal. 2. Select the app launcher icon from the top left corner of the page and then select the SharePoint icon. 3. 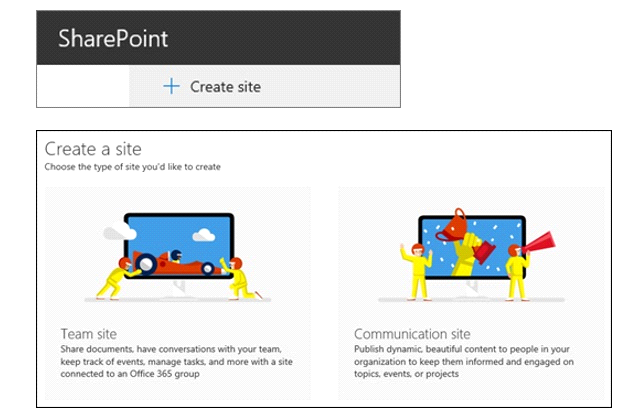 From the SharePoint home page, click + Create site and choose the Communication site template option. • Topic site to share information such as news, events, and other content. • Showcase site to use photos or images to showcase a product, team, or event. • Blank site to create your design. 5. Enter the name for the new communication site and description box. 6. Click Finish. Your site will be created and will appear on the sites you are following. Note: (Your site will not inherit the permission settings or navigation of any other sites). The new layout section offers you to change the page layout to accommodate any site design with contents effectively. 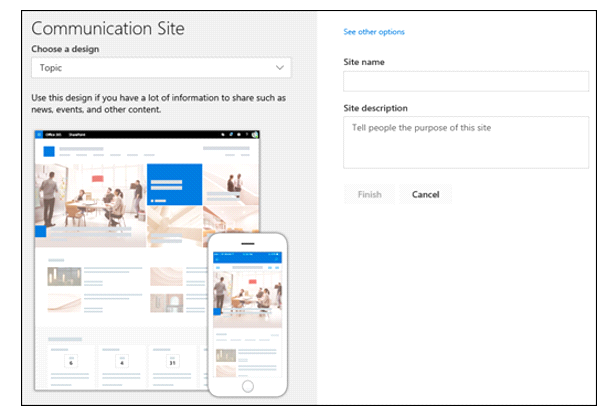 As you can see In above Image, you can now use new modern site templates to make a digital workplace and leverage Communication sites for a global SharePoint Intranet. You can still request the developers to build custom web parts (using new SharePoint Framework) if you have any intranet requirements if they are not covered in the communication site template. Share Point usage in an organisation is like a relationship, needs focus, time and energy to work correctly. 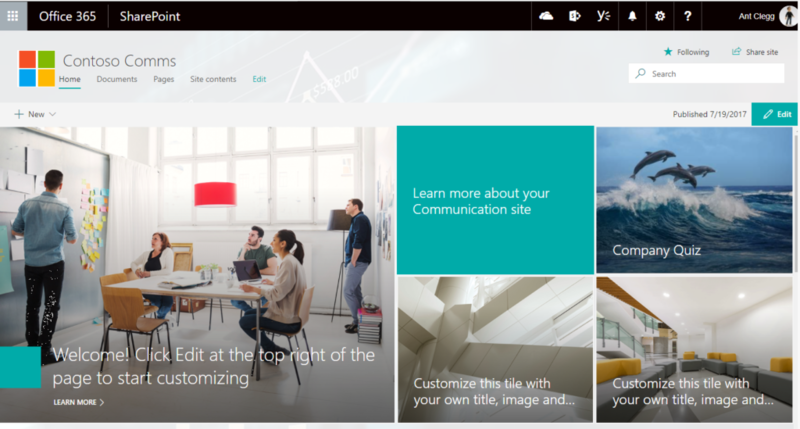 SharePoint site adaptation is one of the vital points of Share Point success. Just launching the platform won’t ensure adaptation within an organisation, as it only gives a “shelfware” scenario. Implementation of any new business system like Share Point needs acceptance and adjustment to boost up benefit end users. During the phase of Share Point customisation, involve power users who advocate share point usage to collect a great deal of information as you can’t implement SharePoint without the involvement of the adaptation team. That will create a roll-out plan to embrace communication and training prospects. Meet them regularly and solicit feedback. Make out “owners” that strengthen leadership’s support of the new track so that users can talk to when they need help. 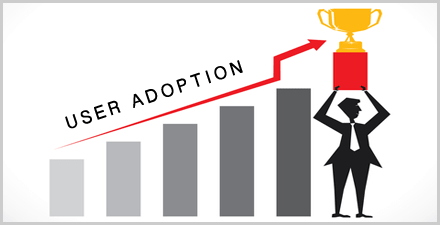 As we’ve already discussed the Pitfalls of SharePoint user adoption, here are the six steps to boost SharePoint user adoption. During the SharePoint customisation, recruit a group of users who are more excited about the change to serve as your beta testers. Involve them every step in the way of SharePoint customisation before releasing it to the rest of the organisation. These Share Points advocates will serve as evangelists and as a funnel to other members of the organisation. Always start SharePoint implementation with a demo to keep potential users updated. Don’t ever assume that users know what the Share Point is. Prepare a demo from their perspective, suggest the benefits and show them the out of box functionality. Convey them the logic behind the change and frame and demonstrates how SharePoint features will be beneficial for their jobs. Look forward to the problems of users who aren’t confident with new technologies to get your point across. For example, users will feel anxiety if they are expected to understand the SharePoint quickly. SharePointusage will face problems if users are left to crack the Share Point usage on their own. Another point with the central impact on SharePoint adoption is training! You should train and form a rocking SharePoint team to ensure everyone can perform his or her duties. This training can be in the form of a quick 30- minute’s workshops or online training if users are remote. Align this training within the framework of the work scenarios rather than just telling them the functions of different buttons. Usually, users are resistant to change, so support them to adopt SharePoint’s capabilities by not implementing it all at once. 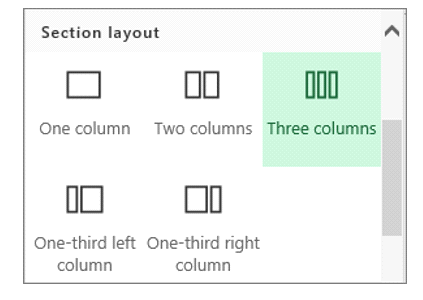 Divide SharePoint implementation into small, manageable segments and prioritise these segments to roll them out one by one to make it easy for users to adopt new habits. Be quick with the needs of the users. If employees ask for more significant search capabilities and a new tool to capture documents, don’t hesitate to look to a third party to supply this tool. Stay connected with the users regarding issues and improvements even after successful SharePoint roll-out. Use different means of communications to get your point and build a feedback mechanism that will help users communicate an accurate list of what users think and need. Send project’s updates by regular mails and create a social media group to response user’s queries. In the era of the digital workplace, Microsoft Office 365 is one of the smartest intranet platform helping organisations to make better internal communications and to boost employee engagement. Almost all companies use an intranet portal to share information and collaborate. However, Office 365 is more than just a communication and collaboration platform; it has the power to solve organisation problems like knowledge sharing, project management, documents, and email authorisation. Office 365 and SharePoint provides features that can be built up quickly to broadcast updates and engage team members. The following five characteristics will certainly improve employee productivity and business value. An intranet is all about sharing and communication amongst team members within the organisation. Create a platform that is understood by all team members, and that can be improved eventually when necessary. Make a clear company plan setting out the goals, build a standard, define strategies and create content. All the above said should be based on the organisational goal. Allow every employee to share and publish content. Take their feedback and appreciate their contribution. It provides employees with a modern, logical and easy to use navigation structure within the intranet sites. Make it convenient for the employees to have access to the contextual and personalised information rather than searching for it and wasting time. The employees would appreciate it if they have access to all their apps and tools (like Yammer, Team Sites, SharePoint, and Groups) to get the relevant information. The homepage of Office 365 gives users quick access to all tools and bring entire intranet platform into a OneStop Shop. Let the employees have access to these tools so that they can efficiently manage company information including documents, projects, apps, news, blog, channels, tasks and more. Provide team members with the flexibility to have external access so they can handle their intranet portal outside the workplace at any time. SharePoint Online allows users to have access to the intranet sites, information, meetings, documents and collaboration with other team members through mobile devices, at the office or from home. Each company needs to keep everyone up to date about their business news, case studies, press releases, social networking and job opportunities and much more. Office 365 allows users to share access with social channels like Yammer, Skype, are the best example of social media networking within the organisation for private communication. These features enable everyone to share, comment and contribute. 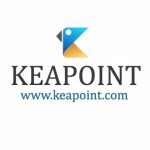 KeaPoint is a SharePoint & Office365 consultancy based in the UK, dedicated to empowering users through smart solutions. Our experience and skill set continues to expand in many areas. We develop solutions according to the best business practices in the industry.